Skinny Bundles: How popular are they? In a recent phone call with analysts, Comcast Cable chief Neil Smit said a “very small percentage” of subscribers opt for a skinny bundle package. Meanwhile, in a report covering Verizon’s fourth quarter of 2015, it was revealed that one third of the company’s revenue comes from skinny bundle customers. There appears to be disunity over whether or not skinny bundles are truly in-demand with consumers. Evercore ISI Group, a research firm, believes that skinny bundle options will greatly increase over the coming years, according to a January 2016 survey. “We anticipate that 16% of the overall U.S. pay-tv base could be represented by skinny bundles in 2020,” the company stated. 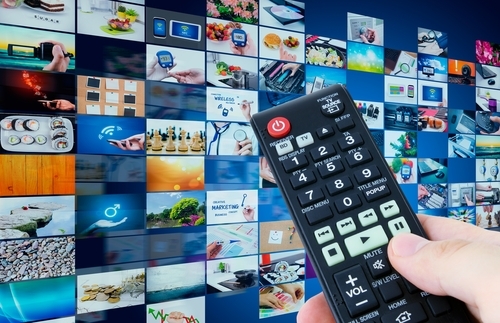 A good bellwether for what may eventually occur in the U.S. market could be Canada; on March 1 cable companies will be forced to offer smaller channel packages to all as a result of new Canadian Radio-television and Telecommunications Commission regulations. At this time, the Canadian businesses aren’t really informing customers of what exactly their options are going to be, but the price can’t be more than $25. It will be definitely be a place to watch this spring. Yes, skinny bundles are in demand, in part because they satisfy the requirement for a cable log in for number of apps, and in part because they provide some access to sports. For this reason, I might consider a skinny bundle, but I wouldn't pay more than $10 for it. It chaps my hide that I'm expected to pay anything at all for access to shows loaded with ads.